Non-Toxic Munchkin: Should I Feed my Children Turmeric? Should I Feed my Children Turmeric? Turmeric is 4000 year old spice that is probably most well known for its use in Indian and Chinese food. In nature it is found as a root (similar to ginger). Turmeric's bright yellow colored powder comes from the curcumin which is actually what gives turmeric its medicinal properties. 1. Thanks to the curcumin which it contains, is has amazing anti inflammatory properties. Considering inflammation contribute to the development and/or progression of most (if not all) chronic conditions this in itself is pretty huge. 4. A number of laboratory studies on cancer cells have shown that curcumin has anticancer effects. It seems to be able to kill cancer cells and prevent more from growing. It has the best effects on breast cancer, bowel cancer, stomach cancer and skin cancer cells. For kids, in general, turmeric can be helpful to boost their immune system, with upset stomachs, growing pains and even gum pain/inflammation due to teething. Turmeric in its natural powdered form used for cooking is safe for children. It is a great addition to their diet - but not necessarily needed daily. 2. If you or your child take blood-thinning drugs or any anti-platelet medication, then it is best to avoid turmeric . 4. While there are many studies showing benefits of turmeric for diabetes, there are some that have found the opposite. Best to be safe and avoid if you or your child has diabetes. How can I give Turmeric to my children? Turmeric has a strong, slightly bitter, taste. Personally, its not something I absolutely love- it is definitely an acquired taste. Thankfully, though, turmeric does go well with various ingredients making it quite enjoyable and easy to incorporate with food and drinks. 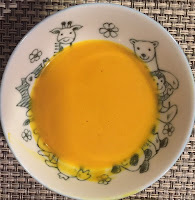 As with everything, I find the younger you expose your kids to strong tastes like turmeric the more likely they will be to eat it without asking too many questions. If you have a juicer grind a small amount of turmeric root with these other fruits for a zesty and tasty juice. I fed my kids chicken curry (in a chunky puree form) as soon as my pediatrician said it was ok to introduce chicken as a protein - and both boys loved it (and still do). Adding turmeric to your homemade curry powder is a great way to incorporate the spice and expand their palette. Turmeric root and powder can be found at most supermarkets and farmers markets. 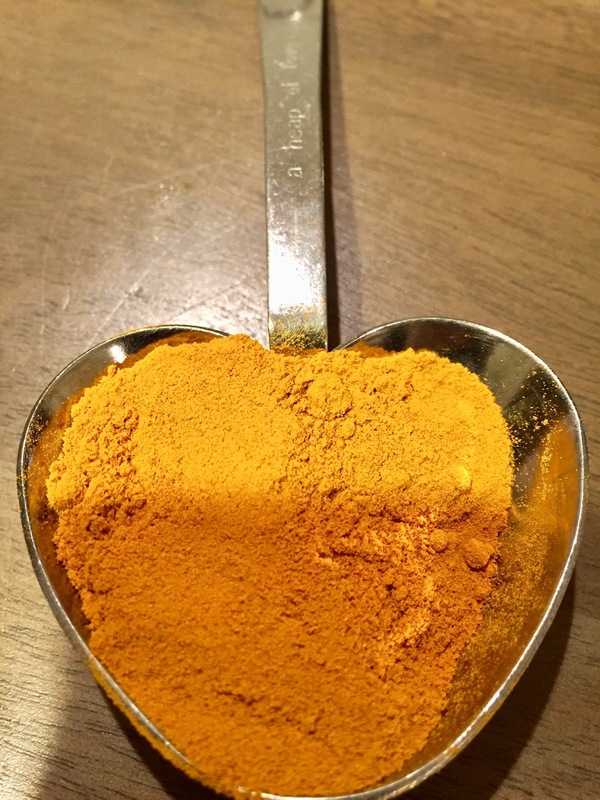 Ideally, choose turmeric root and grind it into a powder at home (instead of buying turmeric powder) since its therapeutic value begins to diminish once it is ground. Turmeric can be found in higher concentrations in capsule form and as purified turmeric extract. Most laboratory tests that have found benefits in taking turmeric have made use of curcumin supplements or purified turmeric extract because of this higher concentration. 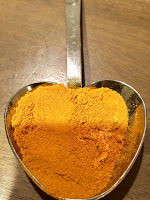 However, dietary intake of turmeric, as is common in India and China, has still been found to be beneficial and is a great intro to turmeric - especially for children. Combining black pepper and turmeric leads to a 2000% increase in bioavailability (absorption). Absorption also increases when mixing turmeric with lipids/fats (ie coconut milk in curry). While cooking and using turmeric in its natural form is perfectly safe, it is a good idea to talk to your doctor if you prefer turmeric capsule or extract - especially if you are pregnant, nursing or for young children. A GIVEAWAY For a Non-Toxic and Healthy New Year!